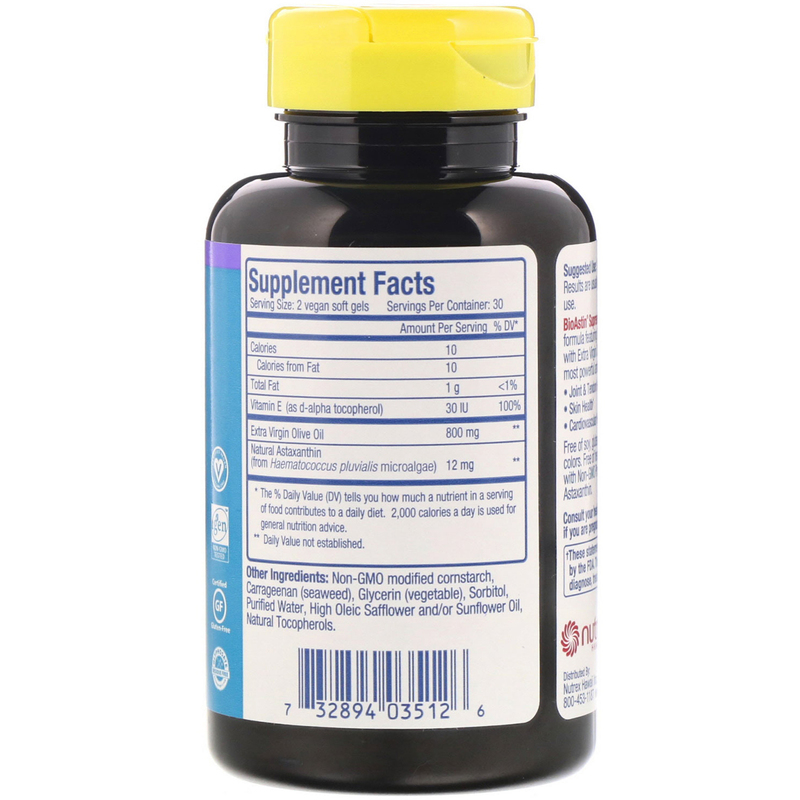 Take 1-2 softgels per day with meals. Results are usually seen within 2 to 6 weeks of daily use. Non-GMO modified cornstarch, carragenan (seaweed), glycerin (vegetable), sorbitol, purified water, high oleic safflower and/or sunflower oil, natural tocopherols. Free of soy, gluten, lactose, wheat, and artificial color's. 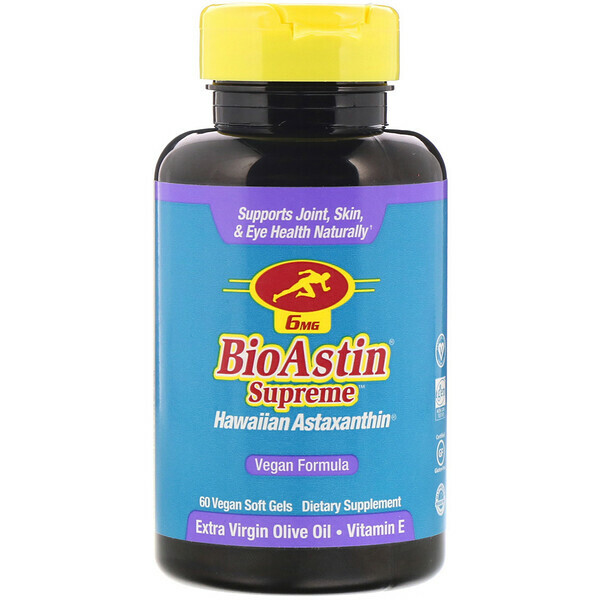 Free of herbicides and pesticides, and made with Non-GMO project verified BioAstin Natural Astaxanthin.